GuestJoy was born when a group of frequent travelers and hospitality sector workers started sharing their experiences with each other. It made us grow fast. 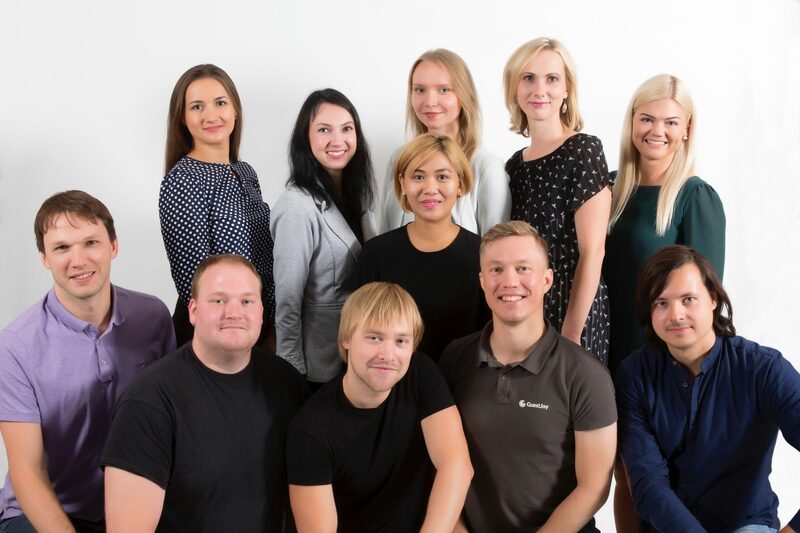 Today our team works in 16 countries, speaking 15 languages, and has been awarded as a top start-up. Vibrant communication really makes a difference. It has helped us build a strong and successful team. We now wish to create this close connection between our best partners – you and your guests. We know you are busy and don’t have time to learn another app. Fortunately, GuestJoy is so simple and intuitive you won’t even need a manual. GuestJoy’s support will always guide your staff. It’s free because nobody ever really needs it. But we’re always up for a good chat. Everything runs in the cloud and can be managed from your browser. Whichever device you use, or wherever you are.